Omeka is an open source software that is located at the intersection of systems web content management (CMS) like Drupal or WordPress, systems management as Fedora or DSpace archives and museums management systems such as TME or KE Emu. Omeka allows the publication of all types of files: text, image, sound, video, etc.. It is possible to combine these files into a single document to multiply information sources. You can also add tags to the document to help you visitor find it easier. To facilitate navigation and usability of the site, you can choose to store the documents in collections. If you want to put them forward in a more regular basis you can also create an exhibition. It is possible then to highlight on the first page of the site any material, collection or exhibition of your choice or create thematic guide for your visitors. The Omeka admin panel (or panel) is where you manage your Omeka installation. From the dashboard you can find the statistics of your current installation, documentation and collections recently added or modified and tabs to manage your documents, collections, tags, exhibitions and plugins among others. And manage the security of your system. Super user, who can access the entire interface, has the right to modify sensitive system parameters, edit users, the theme and general settings. Director, who has the right to access and edit documents, collections and tags. Contributor, who has the right to add and edit documents they have created. It may also be allowed to create an exhibit using any document archive and permission to see any public exposure from the Administrator interface. Researcher, who has the right to see all the documents and collection whether private or public, but can not change them. Omeka is designed to comply with the W3C and 508 accessibility standards. You can be sure to have a website that will be readable by everyone and suitable for the most common engines search. The websites created with Omeka uses the most common languages ​​to create websites, namely HTML, CSS and PHP. 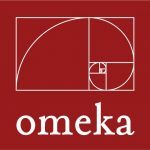 You can choose to download prebuilt themes available directly on the Omeka website, to adapt one to your desires and your needs or simply create one from scratch in order to have a truly personalized presentation . These three options are available with Omeka in the same way as other major CMS market. These options are available with the software or by adding plugins, you can export your data in a variety of formats. This ensures greater durability of your data as well as sharing and easier dissemination. It is also possible to export data format suitable for Zotero (see COinS plugin). Data continuity is an issue that is very important for BibLibre. We guarantee you the ability to recover your data at any time and free of charge on request. This durability is even stronger with Omeka because the software uses standard that will allow you to reuse your data using appropriate software. Omeka is a software designed primarily in PHP which allows almost limitless modification and evolution. In the current state, Omeka is capable of handling more than one million items, the main limitation the one of your server. Managing your collection with Omeka assure you to use it even if your collection had to increase significantly in a short time. Omeka accepts a large number of files, which allows your archives to contain texts, images, videos, PDF or audio files. It is also possible to create multi-page documents that combine the elements listed above. You have the ability to add additional plugins that complement the functionality of Omeka. The plugins available are numerous and as varied as possible, and allow for example a OAIPMH exhibition of Dublin Core, an import CSV data, the use of Dropbox for data too large or an extension of Dubin Core properties. There are also plugins to create exhibitions, to allow visitors to comment on documents, to enable search in PDF files or integrate maps into Omeka. The complete list of available plugins is attached to this document. If a plugin is missing in the list mentioned above, it is also possible to consider to develop to adapat Omeka to your needs.